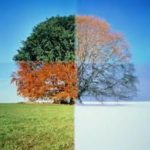 Understanding the Seasons; according to Enoch and the law! As believers and followers of Yahusha (Christ) are we holding the standard for His way of life or do we humanize His word making it our own? If you are holding the standard of Alohym that means you are living by the scriptural word and able to change one’s life when needed to be obedient to Him. Humanizing His word, means you are making His word fit your life style, regardless of scripture truth. Now that may sound harsh and hurt your feelings but whose feelings are you really hurting, our Creators. As human beings we seem to forget that our Creator has thoughts and feelings as we were created in His image and likeness. As a spirit filled bride we are to live by the spirit and every word of Alohym (God) or do we through strife and debate self-glorify ourselves because they do not believe as you do? Love for Alohym and mankind is listening without judgement and meeting people where they are in their walk with Alohym. The focus of this article should bring a full clarification to understanding the intercalary days as mentioned in the Book of Enoch. These four days are greatly mistaken as Sabbath days or are placed at the end of a calendar year in justifying their Saturday Sabbath worship. Understanding the positioning of Alohym’s (Gods) Sabbath days and intercalary days with regard to Enoch’s calendar is of great importance meaning it is the difference between obedience and disobedience to Alohym’s Commandment. Getting to the truth is no laughing matter and time is running short. Now is the time to act and sow the seeds of truth and revelation through education that all followers can make an informed decision and hopefully land on fertile soil. Take heed: To those who "argue" over this subject need to read 2 Timothy 2:14 - 15. Our Messiah said "he who has an ear let him hear" but be careful and search out what you hear, be berean Acts 17:11. Does the beginning of Genesis hold a totally different story then what is portrayed by main stream religion? Could it be that Genesis 1:2-14 which spans a total of four (4) days has nothing to do with creation but instead rejuvenation? Most religious scholars and pastors argue in favor of creation week in support of their religious views but is their belief the truth of the matter? This article targets the English language discrepancies existing in Genesis chapter 1. It is because of these wrongfully translated Hebrew words that generations of believers have been lead down the wrong path! From a bird’s eye view, Genesis chapter one (1) is a mixture of rejuvenation and creation. Starting at verse two (2) begins the first of four days in which Alohym rejuvenates the Earth which ends with verse 19. Now from verse 20, the beginning of the fifth day, Alohym starts creating all living creatures including mankind ending with verse thirty-one (31) which is the end of the sixth day. Note, it is not until verse twenty-one (21) that we first encounter the word bra’ (H1254) meaning; “to create”. The question that comes to mind in this instance is “what exactly happened during the first four days of Genesis chapter one”? Would you believe the first four days as described in Genesis chapter one (1) is all about germination and rejuvenation of the Earth in which to support life as we know it today? 3.) One world financial system, this is less then 12 months away. 4.) A One World Government emerging, more coming soon! More coming soon, but do you think that this is all a coincidence? Learn about Living in the New Covenant, it is all free for your knowledge and understanding, stand with Messiah and not with the world!